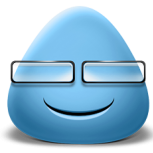 This topic is about getting email notification of new replies to topics that interest you. 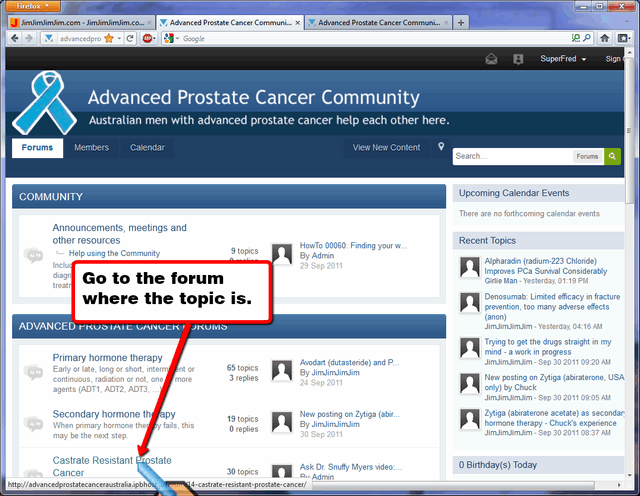 A separate help file tells you how to get email notification of the new topics in a forum. That help file recommends you Follow all forums to hear about all new topics. The process above gets you emails for new topics - you do not hear about new replies. 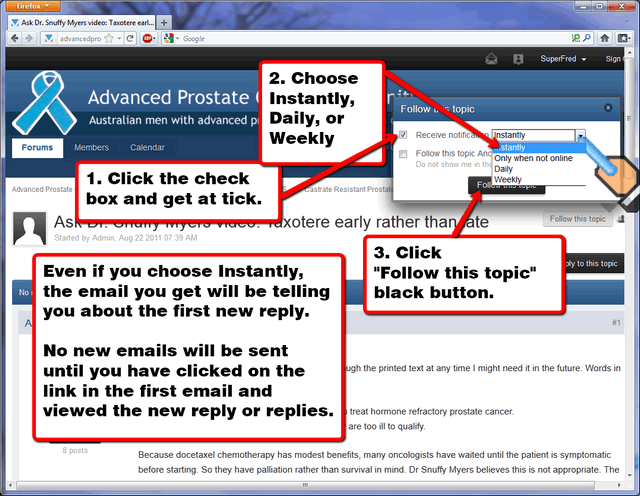 The information below is about getting email notification of new replies to topics that interest you. You get can get email notifications of new replies in topics. You only get one email per topic, when the first new reply appears. You only get one email per topic, no matter how many new replies have appeared since. When you click in the link in that first email to visit the topic and view all new replies, the notification system resets and begins watching for new replies in that topic again. 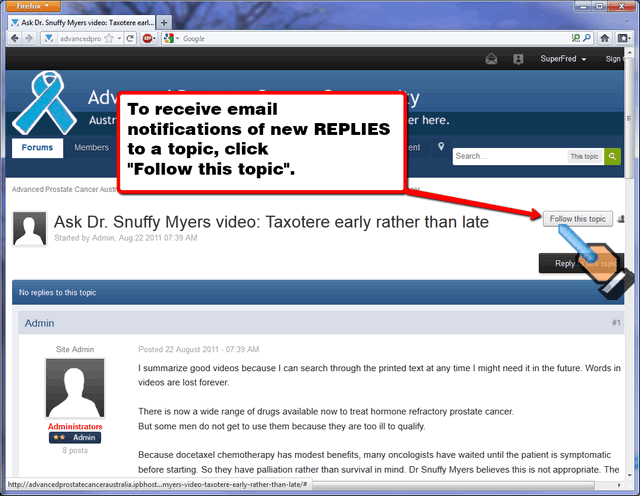 Asking to be notified by email of new replies in a topic is called following a topic. any other topic that interests you. Follow this forum (to get new topics) and Follow this topic (to get new replies) look similar. On the forum page, just choose the topic you want. 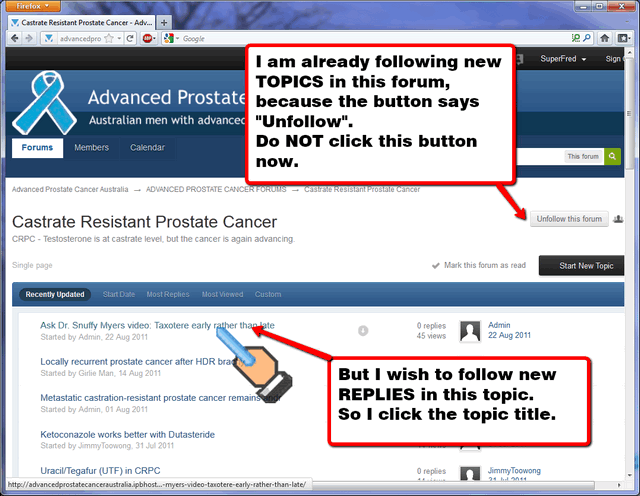 Click the "Follow this topic" button. If you are already following the topic, the button will have "Unfollow this topic" on it. If you wish to clear that and start again for this topic, click the "Unfollow this topic" button to clear existing notifications for that topic. Click the black Follow this topic button to finish. With advanced prostate cancer, a man's personal story can change. We recommend that men make updates to their stories as Replies to their first story. That lets others follow changes in their story, using the Follow topic button, as above.